Mr. Krepelka specializes in all aspects of Family Law matters, such as property division, characterization, allocation, and valuation; reimbursement claims; spousal support; child support; breaches of fiduciary duty; business valuations; real property valuations and claims; post-judgment matters; enforcement of California orders, out-of-state orders, and international orders; contempt actions; all aspects of child custody and visitation; domestic violence issues; and pre-nuptial and post-nuptial agreements. He is seasoned in working closely with experts such as forensic CPAs, real estate appraisers, and child custody evaluators. He is a skilled litigator, handling numerous contested Family Law Trials of varying lengths. He also handles Family Law Appeals. Travis Isaiah Krepelka obtained a bachelor’s degree in English: Creative Writing from the University of Redlands (2002) and his juris doctorate from Santa Clara University (2005), both with high honors. He was the Book Review Editor for the University’s Law Review, and received numerous awards for academics and oral advocacy. He is a member of the Honors Societies Phi Beta Kappa, Phi Delta Phi, and the Order of the Coif. Mr. Krepelka joined what was then Hoover & Bechtel, LLP in March of 2004, progressing from law clerk to associate to senior associate, and in 2012 to Partner in what is now Hoover ♦ Krepelka. 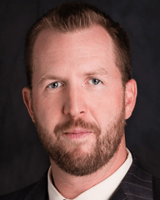 In May 2013, Travis Krepelka earned the prestigious status of Certified Family Law Specialist, an honor by the California State Bar bestowed upon only approximately 10% of family law attorneys. Mr. Krepelka loves baseball (playing and watching), movies, literature and spending time at the beach and in the redwoods with his beautiful wife and children. Founded in 1960, Hoover ♦ Krepelka, LLP, in San Jose, is a service-oriented family law firm that is dedicated to results. We are the largest law firm in Silicon Valley that practices family law exclusively. Our lawyers bring a combined 110 years of experience to the table and work collaboratively together to solve your difficult family law problems. Whether you are facing divorce, a post-judgment modification dispute or a child custody issue, or if you need experienced guidance in pursuing a family law appeal, we have the experience and resources to safeguard your interests. Our attorneys and entire staff share a common vision: We care about people. For that reason, our lawyers work as a team to create meaningful strategies to solve complex family law problems. Our legal team is led by partners James Hoover and Travis Krepelka, both recognized as Certified Family Law Specialists by The State Bar of California Board of Legal Specialization. This certification is an honor bestowed upon approximately only 10 percent of family law attorneys. The wealth of knowledge our attorneys have earned allows us to effectively personalize our representation to meet your needs and goals.